EDU is back with our first ever advanced level TAW U class. 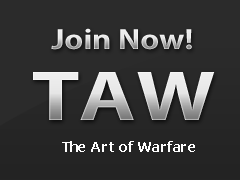 TAW EDU will be hosting a TAW U class on Sunday the 4th of March, at 3:00pm EST/8:00pm GMT. 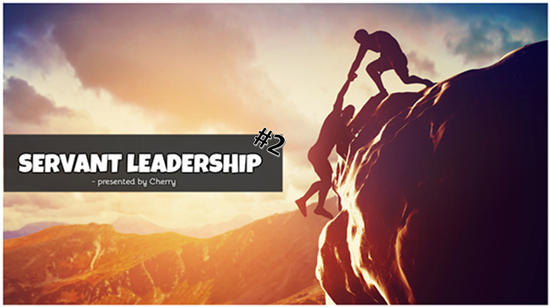 This class will be a higher level class on the topic of servant leadership, and is meant as a follow up to last year's Servant Leadership TAW U class. The instructor will be Cherry [CC OC] and Bravehardt [CC AC]. Cherry presented the first Servant Leadership TAW U at the beginning of last year. Cherry and Bravehardt bring years of real world experience in servant leadership, both inside and outside of TAW. "As our organization has grown over the years, it’s become increasingly important that we actively teach Servant Leadership to new members and leaders coming into our organization. In the introductory class we learned what Servant Leadership was, In this class we will learn how to apply servant leadership to have a healthy organization." Members that come to this class will learn high level skills and knowledge on the topic of servant leadership and its application to having a healthy organization. Everyone in TAW is invited to attend this class, and it will appear on your events calendar on the taw.net homepage. We encourage you to attend if you are free on the 4th. Please spread the word to your fellow members, so that this class can benefit as much of the community as possible. EDU is grateful for the support this series has received so far, and based on the positive feedback we hope to continue this for the many months ahead. 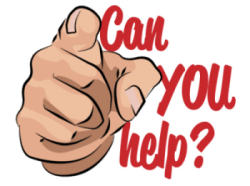 Important: Members participating in this TAW U should have already participated in the original Servant Leadership course and/or reviewed the recording. This is not a requirement, but something Cherry himself believes is critical in order for attendees to fully understand the presentation. So join us in TeamSpeak on March 4th, in Operations. You will see the class on your Event Calendar. If you cannot attend the class, be on the lookout for the video recording, which we will post to the TAW Youtube Channel a few days after the event. Wondering what TAW University is all about? Click here for more information! Can't attend on TS? Listen LIVE on TAW RADIO. This fall EDU has not held any TAW University classes, and we want to apologize for that. EDU is going to be stopping the TAW U monthly schedule until after the CiC elections so as not to distract members from the holidays or the election. This break will give us time to develop more lectures and find guest speakers to host them. Expect to see another TAW U in February. Also, expect to see other content in the upcoming months as well. New Release: Boot Camp Guide, Script, and Presentation!!! The New and Improved Boot Camp Guide, Script, and Presentation are finished! The first part is the reworked Boot Camp Guide. This is a tool to teach new Drill Instructors how to conduct a Boot Camp. It can also be used by existing officers to improve and modify current Boot Camp procedures. Within the Guide are instructions on how to contacts applicants, set up a Boot Camp, guide the applicant through the Boot Camp, and to use onboarding to make them an official Recruit. The second part of this release is the new Boot Camp Script. This Script is an example of what a Drill Instructor will say during a Boot Camp. We encourage experienced Drill Instructors to create their own scripts, but the official script will be available for any Drill Instructors that want to use it. Please review each file and incorporate them into your unit's Boot Camp process. Questions regarding how and when changes should be implemented should be directed to your Chain of Command. Questions for clarification about the content of the three documents can be directed to the EDU CO Kareltjee. TAW EDU will be hosting a TAW U class this Sunday (the 24th) at 3:00pm EDT/9:00pm CEST. This class will cover the topic of Public Speaking and the instructor will be Muzzle. Public Speaking is a skill that many people struggle with, or even fear. It takes some practice to get better at speaking to groups, but there are skills and techniques that can make public speaking easier. This class will cover some basic information about public speaking, and how to prepare yourself to successfully speak in front of a group. Everyone in TAW is invited to attend this class, and it will appear on your events calendar on the taw.net homepage. We encourage you to attend if you are free on the 24th. Please spread the word to your fellow members, so that this class can benefit as much of the community as possible. EDU is grateful for the support this series has received so far, and based on the positive feedback we hope to continue this for the many months ahead. So join us in TeamSpeak on September 24th, in Operations. You will see the class on your Event Calendar. If you cannot attend the class, be on the lookout for the video recording, which we will post after the event. EDU has updated the Security Awareness Online Class. This update improves the content of the class and contains new information that has become important since the class was created. If you have taken the class in the past, previous Security Awareness badges are still valid. EDU encourages all members who have taken the class in the past to review the class, as the information is worth learning. If you have not taken the class before, use this link. After completing the class, save your certificate and send it to your Chain of Command. They will award you the Security Awareness Badge. Due to unforeseen events, EDU has canceled the TAW U class that was planned for Sunday 9/17. Instead, there will be a TAW U class on Sunday, September 24, at 3:00pm EST, 9:00pm CET. The topic of this class will be Public Speaking, an important skill for TAW and life. More details will be posted about this class later in the week. After the success of the TAW University class on August 20th, Part 2 of Time Management will be held on 9/17 at 3:00PM EST/9:00PM CET. 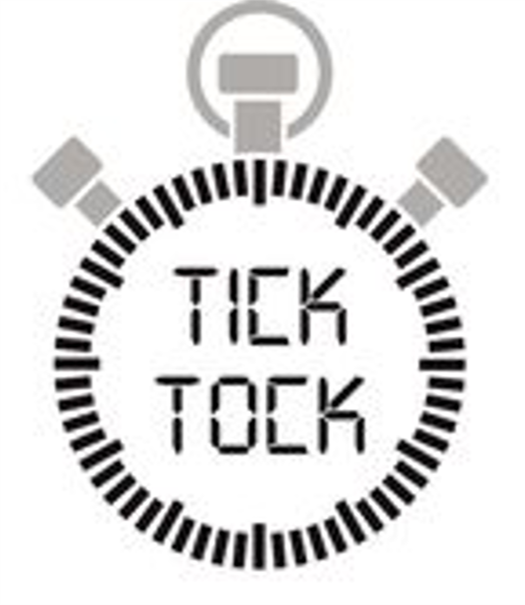 This will be the second class in a two part series on Time Management. Time management is a skill that allows leaders to get more done, and makes anyone's job easier and more satisfactory. Sydan [EDU XO] will be returning as the instructor for this class. Members will learn different skills and lessons from the first part, with a focus on more specific and advanced methods of managing your time. Everyone in TAW is invited to attend this class, and you do not need to have attended Part 1 to understand the lecture. The class will appear on your events calendar on the taw.net homepage. We encourage you to attend if you are free on the 17th and we hope you bring a friend. Please spread the word to your fellow members, so that this class can benefit as much of the community as possible. So join us in TeamSpeak on September 17th, in Operations. You will see the class on your Event Calendar. If you cannot attend the class, be on the lookout for the video recording, which we will post after the event. TAW EDU is excited to announce that the next TAW University class will be held on August 20th, at 3:00PM EST/9:00PM CET. 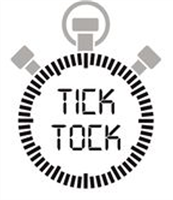 This will be the first class in a two part series on Time Management. Time management is a skill that allows leaders to get more done, and makes anyone's job easier and more satisfactory. Sydan [EDU XO] will be the instructor for this class, and says that this class may be one of the most detailed classes he has taught so far. The class will teach members the importance of task prioritization, and how it can improve the efficiency of important tasks. Members will also learn how to set and keep goals in a timely manner, and how to plan your time to work towards your goals. Everyone in TAW is invited to attend this class, and it will appear on your events calendar on the taw.net homepage. We encourage you to attend if you are free on the 20th and we hope you are able to come to part 2 next month as well. Part 1 and 2 can be experienced separately, and so if you can only attend one they will still be a valuable experience to have. Please spread the word to your fellow members, so that this class can benefit as much of the community as possible. EDU is grateful for the support this series has received so far, and based on the positive feedback we hope to continue this for the many months ahead. So join us in TeamSpeak on August 20th, in Operations. You will see the class on your Event Calendar. If you cannot attend the class, be on the lookout for the video recording, which we will post later after the event. TAW EDU is excited to announce that the next TAW U class will be held on July 23rd, at 3:00PM EST. 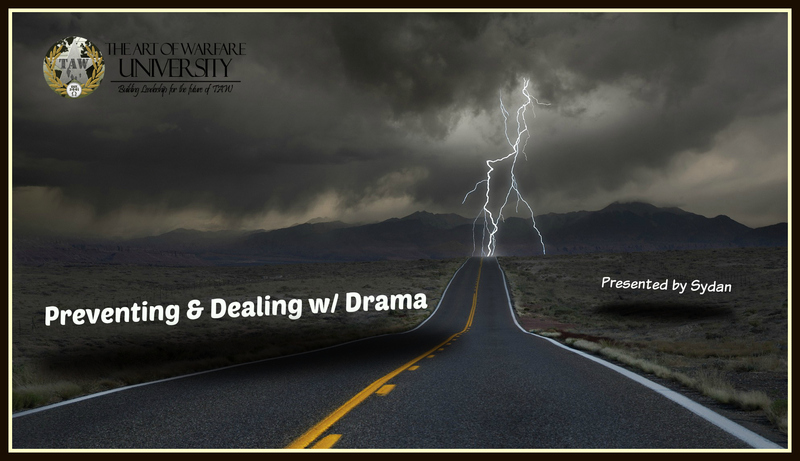 This topic of this class will be Communication Skills, and will be hosted by Sydan, who did a wonderful job hosting Dealing with Drama in May. Effective communication is necessary for a community as large as TAW to succeed. Better communication means that directions are clearer, there are less misunderstandings and confusion within your unit, and you can more easily express yourself. This class will help you improve all of these skills, and more. Everyone in TAW is invited to attend this class, and it will appear on your events calendar on the taw.net homepage. We encourage you to attend if you are free on the 23rd and we hope you bring some of your fellow members. Our previous classes have all recieved positive reviews from the members who attended, and we hope to see new and old faces at this University class. The more people that attend the more TAW can improve as a community. So join us in TeamSpeak on July 23rd, in Operations. You will see the class on your Event Calendar. If you cannot attend the class, be on the lookout for the video recording, which we will post several days after the event. TAW EDU is excited to announce that the next University class will be held on June 10th, at 3:00PM EST/9:00PM CET. This University class will be about recruiting, and the speaker will be Natalino, a well known and more than experienced recruiter. Recruiting is the foundation of TAW, and allows us to continue to grow and improve as a community. This class will cover the important information that you and your unit needs, in order to be successful when recruiting. Knowing how to recruit, and doing it well, will not only allow you but your unit also to succeed. Our recent University classes have been met with very positive reviews, and we hope that everyone who is able to make it to this class chooses to attend. We also strongly suggest spreading the word about the class, as many members do not see these announcements. If you bring a few members from your unit with you to the class, you will have a group that can spread what they learn to the rest of your unit. So join us in teamspeak on June 10th, in Operations. You will see the Class on your events calendar. If you cannot attend the class, be on the lookout for the video recording, which we will post several days after the event. Drama, one small word that means a lot of things. But what exactly does it mean for TAW? EDU's very own Senior Instructor Sydan has the answer for you! With the topic of Drama, EDU hopes to continue their year of building leadership for the future of TAW with yet another topic that highly affects the community! Sydan will be basing himself on Lucky's presentation; define the word Drama, talk about how it applies to TAW and explain how it can be prevented and be dealt with. He will of course be giving it his own personal twist and aside of that also be answering as many of your questions as time permits. So does your time schedule allow you to attend? Then do not miss out on this unique experience and participate! TAW U - Preventing & Dealing with Drama will be given on the May 7th, 2017 @ 4:00PM EST. Don't know what time that is for you? Do not worry, an optional event (here) will be created and should be showing up on your homepage, adjusted to the time zone you are in. EDU - Online Classes back with a few updates! New and updated imagery will be added over the course of the next few days after several reports of missing pictures/dead links. Our classes can now individually be found under the Online Education Center-channel on TS. We have located the issue affecting the learning experience and have found a way to resolve it within the next couple of hours. However, please be aware, the update will slightly change the Final Test and wil therefore affect the way a course is completed. Any questions or concerns will gladly be answered. Do not hesitate to get in touch with us. Thank you for your patience. In order to give all of TAW the best of the best experience for the Online Classes , it was necessary to temporarily take down ALL Online Classes for a 24-hour maintenance. We will be back in no time. EDU’s very first year in TAW. A year full of achievements, setbacks, ... A year to dwell on and a year to be proud of. As a celebration, we listed some of the most remarkable moments in EDU’s still very young history. The day Sentinel became EDU. The beginning of a new chapter, filled with innovative ways of providing education for the massive online-gaming community called TAW. After months of discussing content, creating material, and receiving approval, EDU launched the Online Classes for all TAW members to use. The classes have become a huge success with over 4000 classes started. Today, EDU is still very motivated to keep this online platform going and invites all members of TAW to contribute to the classes through delivering feedback. EDU is constantly making small improvements to the classes from the feedback we receive. Your feedback means another step closer to a better experience for all of TAW to enjoy. On March 11, EDU held their first University Class. A huge number of people showed up and gave positive feedback (A special thanks to Cherry for giving the presentation). A recording of this event can be found here. EDU has already begun creating more University Classes for everyone in TAW to enjoy, be on the lookout for the following topics in the next few months: Dealing with Drama, Public Speaking, Chain of Command, and Communication & Organization. Stay tuned for an announcement regarding the date and time for the next one! Early in April, EDU finished and released the first of many new and/or updated TAW Guides. The first guide, which covers Website Navigation, should help many of you with common tasks of reporting events, taking attendance, and much more. This guide can be found here or on the TAW Guides channel in TeamSpeak. More guides will be released soon, more specifically a new Boot Camp Guide, Presentation and Script. Thank you everyone. For everything.